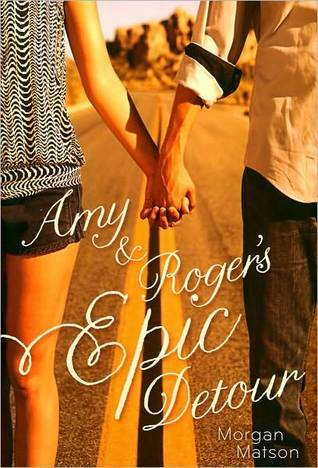 I have a confession to make: until The Unexpected Everything, I was worried I’d never love a Morgan Matson book as much as I loved Amy & Roger’s Epic Detour. I enjoyed Second Chance Summer and Since You’ve Been Gone, but they didn’t make the impact that Amy & Roger did. It seemed to be just me, because almost everyone I know who read those two books adored them. So I went into The Unexpected Everything with no expectations. I honestly didn’t even read the synopsis, I just saw the adorable cover and figured since I’ve read all of Matson’s other books I should read this one, too. To say I was pleasantly surprised would be an understatement; I absolutely adored this book and have added it to my list of favourite contemporary YAs. The Unexpected Everything encompasses everything I love about contemporary YA: a main character with a great voice and lots of personality; strong, realistic female friendships; family issues; self-discovery and growth, and not just from the main character; and a romance that’s so adorable you can’t help but root for it. I loved Andie - she’s mature and responsible, partly because she’s been forced to be since her dad is a congressman and Andie has been pretty much on her own for the last five years since her mom died. She has great friends, does well in school, and has her future all planned out...until her summer plans - the plans that will help her future - fall through and she’s stuck in town with no job and nothing spectacular to add to her resume. This is one of those books that has a string of fun events more than an actual plot. There’s the family aspect: the father-daughter relationship between Andie and her dad was messy, imperfect, and sometimes uncomfortable, but it budded into something that made me so happy. The romance: my new book boyfriend, Clark! He was adorable and nerdy and awkward and so good for Andie. I loved how he became part of the group, his bromance with Tom, and his respect and almost-friendship with Andie’s dad. The friendships: I want to be part of this group. I could picture myself with them at the diner, at the beach, running around for the scavenger hunt (one of my favourite parts of the whole book). The dynamics of the group were realistic - the closeness, the drama, the inside jokes, the laughter, the shared burdens and joys. The Unexpected Everything was unexpectedly amazing. In a way it was simply a fun summery read about a bunch of friends hanging out - having pizza and ice cream, scavenger hunts, beach days, pool parties, group texts, diner breakfasts. The friendship aspect was important and meaningful, because it helped Andie grow, as did her family issues and her new relationship with Clark. Andie’s growth left me feeling satisfied and so proud of her. She started out thinking everything needed to be planned, needed to be a certain way, but she realized you don’t always have to have things figured out. You can change your mind or you can simply not know. Not everything turns out the way you think it will. Not all relationships are healthy and not all hurt feelings can be forgotten with an apology. I appreciated how realistic and believable it was, even when it was painful to read. This sweet, funny, emotional book is the perfect summer must-read. Have you read The Unexpected Everything? What did you think? If you haven't read it, do you plan to? Have you read any of Morgan's other books? Sadly I haven't read any of Matson's books. You're right, though, this cover is so cute and I love the same things you mentioned in YAs too. I'll have to check this one out.